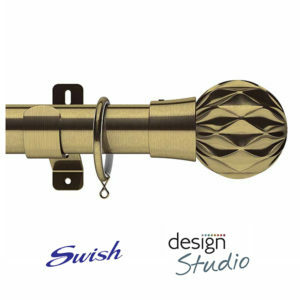 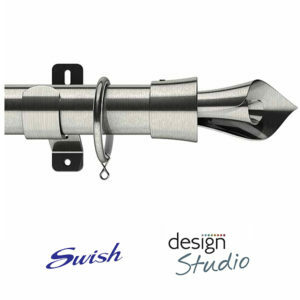 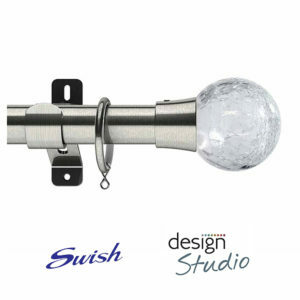 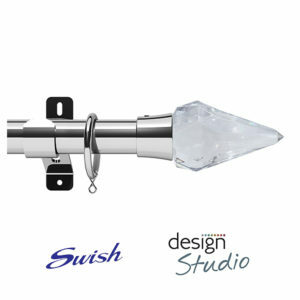 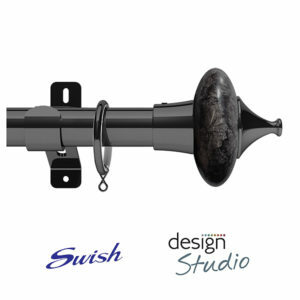 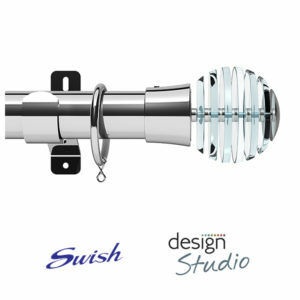 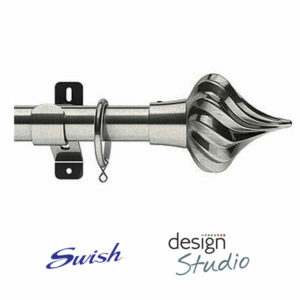 The Swish Design Studio pole kit collection, is the definition of choice. 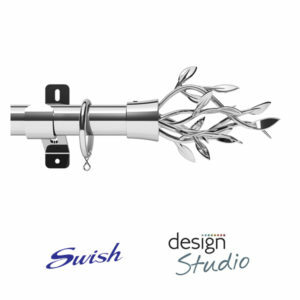 Create your own look to compliment any decor. 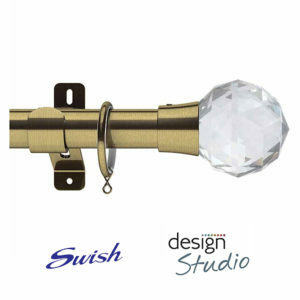 Available in 4 finishes-Satin Steel, Chrome, Antique Brass and Graphite. 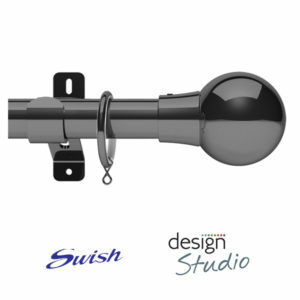 Select a finial and choose to upgrade from the standard collar to either a more contemporary or classic look. 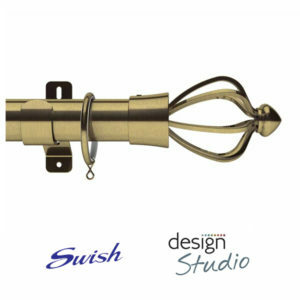 Bay kits are also available.